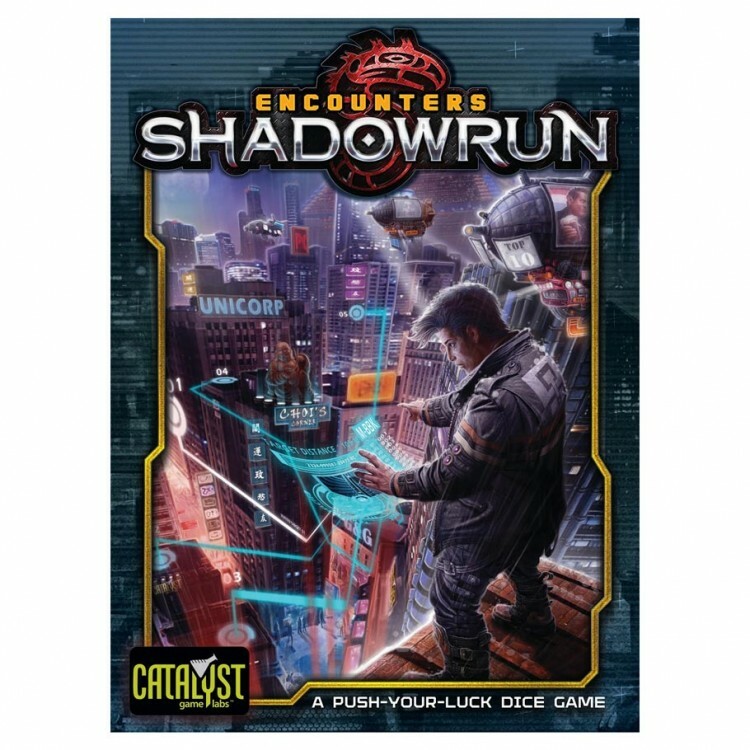 Encounters: Shadowrun is a 1-8 player fast-paced, push-your-luck dice and card game. Players take on the role of Mr. Johnson - a man or woman that arranges for ‘things to be taken care of’ - fixing the megacorps’ dirty work by adding new shadowrunners to their already-assembled teams. Players then send those ‘expendable assets’ into the shadows of the mean sprawl streets of the Sixth World, fighting past magic, tech and more to collect resources and corporate secrets to defeat their rivals!